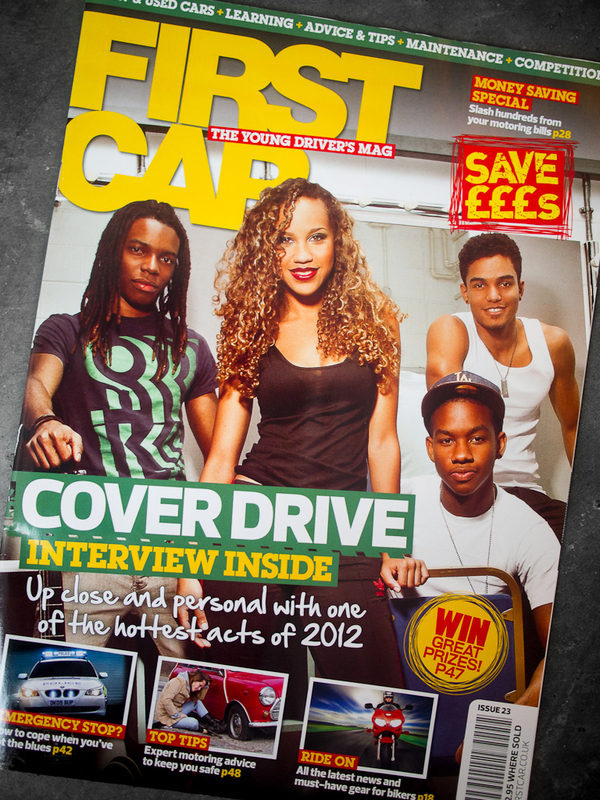 Following my previous shoot for First Car, a magazine aimed at young drivers, featuring Hollyoaks, here's the latest issue featuring chart topping Bajan band, Cover Drive.The shoot took place in the run up to Christmas on a particularly cold December day in Cambridge. Cover Drive had been supporting Dappy on his No Regrets Tour, and we had an hour or so with them in between rehearsals. The original plan was to shoot them outside with a car for the cover of the magazine, but due to the -3° temperature, we opted for one of the slightly warmer dressing rooms backstage. The band were great to chat to, and we also got to see a sneak preview of their rehearsal, featuring their tracks Lick Ya Down, and their Number 1 track, Twilight.